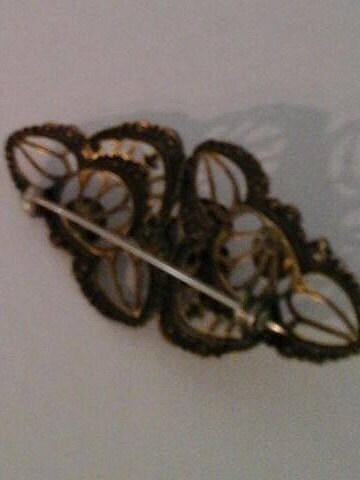 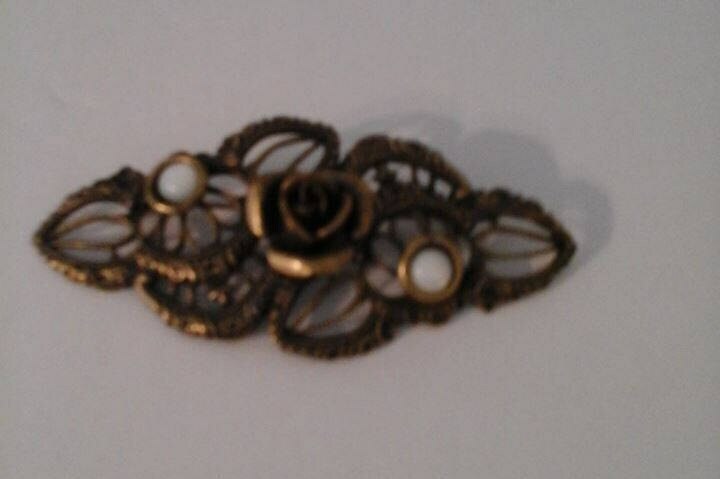 Excellent condition, vintage filigree brooch. 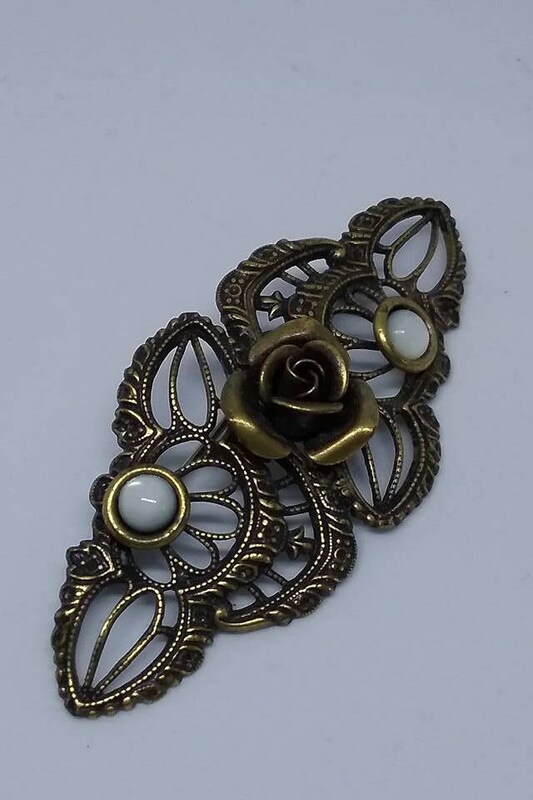 Beautiful Victorian style brooch. 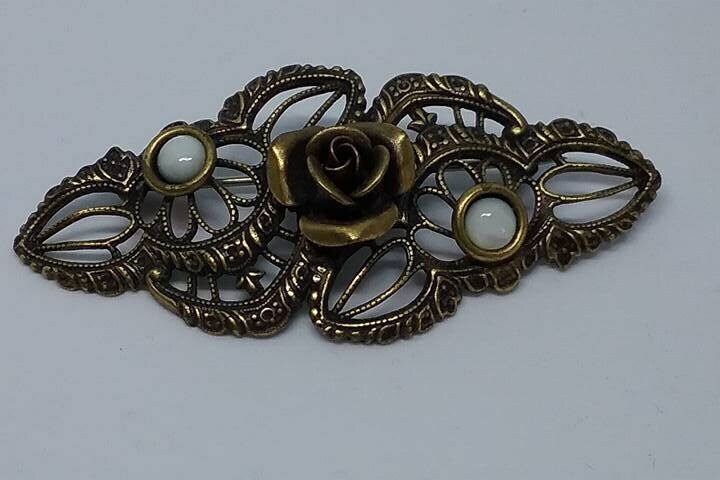 Pewter rose is set off by the two white milk glass beads. 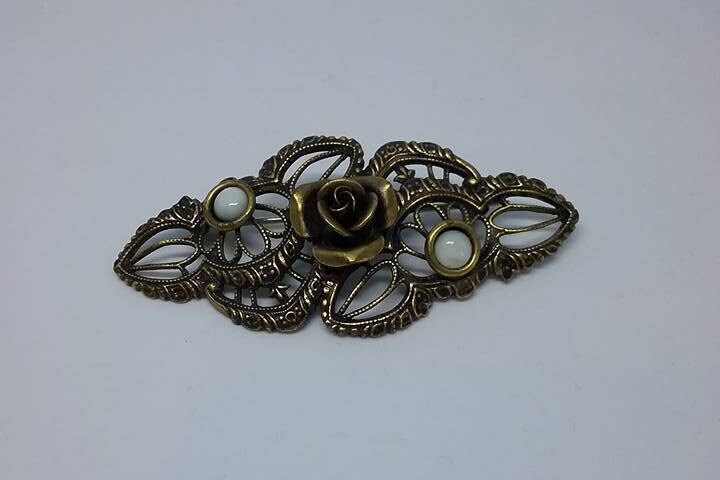 Stunning, and yet, understated.